All About You: Did you know an ice bath can dry your nail polish faster? Did you know an ice bath can dry your nail polish faster? There is nothing more annoying than spending a long time to apply your nail polish only to have it smudged at the end, because it didn't dry properly. So, how can you make sure you nail polish dries quickly on those days when time is not on your side? 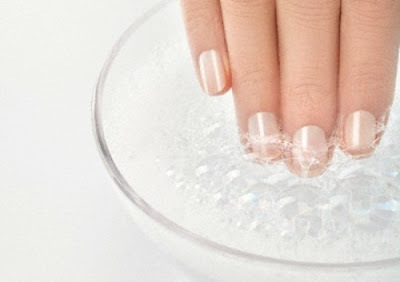 Giving your nails in a dip in a bowl filled with iced water will dry them faster. Nail polish dries quickly in colder temperatures. So, the colder the water is the quicker your polish will dry. Although this method will probably add numbers to your electric bill, the cold can thicken the polish while the circulating air evaporates the solvent. Your blow dryer can dry more than your hair. 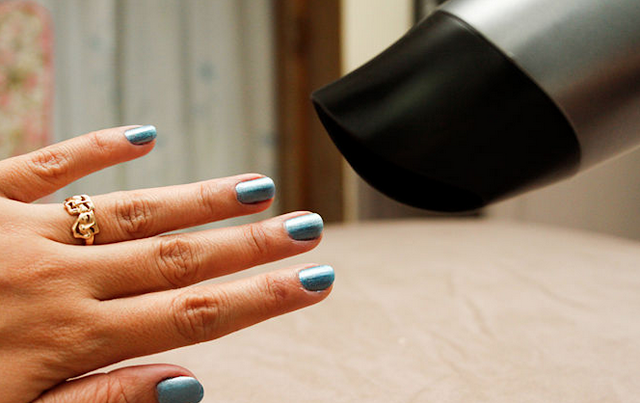 Blow your nails using your dryer's coldest setting and they will be dry in no time! Just go easy on the potency settings, because you don't want to blow ripples into your polish. 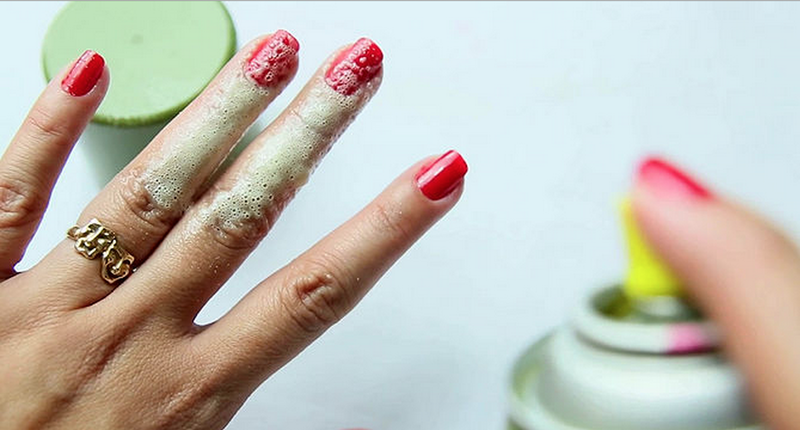 Spray your nails completely with your cooking spray will have them dry fast. But, there should be a propellent in the list of ingredients. The propellent evaporates and drains the liquid in your nail polish faster. Let the spray sit for a minute or two, and then wash your hands of the oil. Very interesting. I'm going to try the first one the next time I apply nail varnish!